2019 marks the 40th year Minnesota State’s Women’s Center has been on campus helping and developing young women. To celebrate this historic event, the Women’s Center is hosting many events open to the campus including a birthday party, keynote speakers, a Feminist Feast and more. A full list of the Women’s Center’s events can be found on their Facebook page. Liz Steinborn-Gourley, director of the Women’s Center, cites underrepresentation across many job fields as one of the most important reasons for the Women’s Center and its programs. The Women’s Center achieves this through various events, programs and partnerships. Steinborn-Gourley also noted the office the Women’s Center uses, located in the CSU 218, is shared with Violence Awareness and Response Program. “(It) provides confidential advocates for students who have experienced violence,” she said. 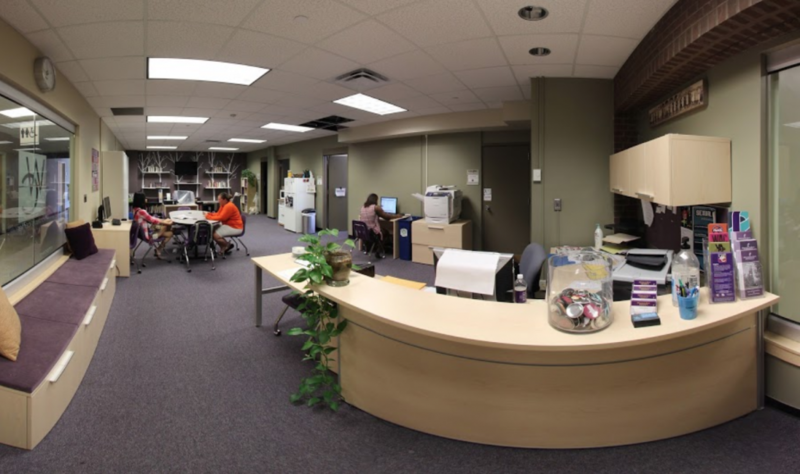 The Women’s Center’s resources and outreach impact many Minnesota State Mankato students. Steinborn-Gourley estimates more than 750 students have attended programs or used resources from the center, something she contributes to the students. “The student voice really drives what we do here,” she said. Some of the Women’s Center’s most popular events in recent years have included the Laverne Cox lecture, which drew one of the largest crowds attending a Carol Ortman Perkins. Other successful events include the Feminist Feast, Galentine’s Day and other lecture series speakers like Kate Chance from the Southern Poverty Law Center. In addition to events, programs and resources, the Women’s Center also provides students a great place to just relax and hang out. “We can provide referrals and we have a lounge space that’s open to all students and we often provide free coffee, a comfortable space to hang out and great discussion,” Steinborn-Gourley said. The success of the Women’s Center’s events, programs and resources shows how far it has come since it first opened in 1979, when it’s primary function was to support lower numbers of women on the campus as well as assist with women who had children, or left to get married and then returned to college. The Women’s Center is in the middle of an assessment year and continues to look at how they can continue to best serve the needs of the students. Steinborn-Gourley asks students to be honest with this assessment and continue to help the center. “If you’re one of the select students asked to complete the survey about the Women’s Center, I encourage you to offer your honest feedback so we can shape the Center to serve you,” she said. Steinborn-Gourley also wants students, especially those who have never been to the Women’s Center, to come check it out. Additional information about the Women’s Center and their 40th Birthday Celebration can be found by visiting their Facebook page, or by contacting Steinborn-Gourley via email at elizabeth.steinborn-gourley@mnsu.edu.